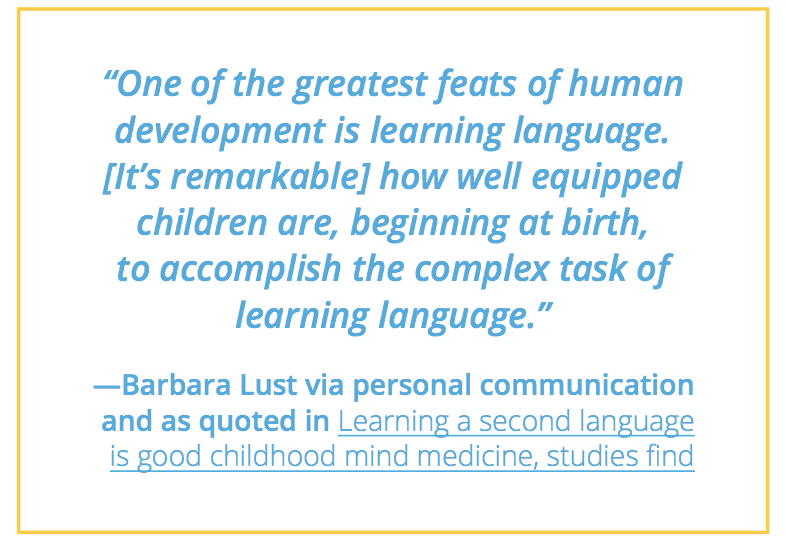 As Barbara describes, learning a language is a rewarding and remarkable feat. Many students all over the country are learning another language, either through face-to-face or online instruction. Learning another language has notable benefits, including but not limited to increased cognition, ability to communicate in another language, and engagement with and appreciation of other cultures. Online language learning is often a great option for schools or districts looking to provide students the chance to learn a language, whether they have full-time language teachers or do not yet have access to high-quality language teachers. Many school districts around the country are providing language programs during an elective time or after school programs. In the Blended Language Learning Toolkit, we shared strategies and ideas for educators using online programs in blended environments. 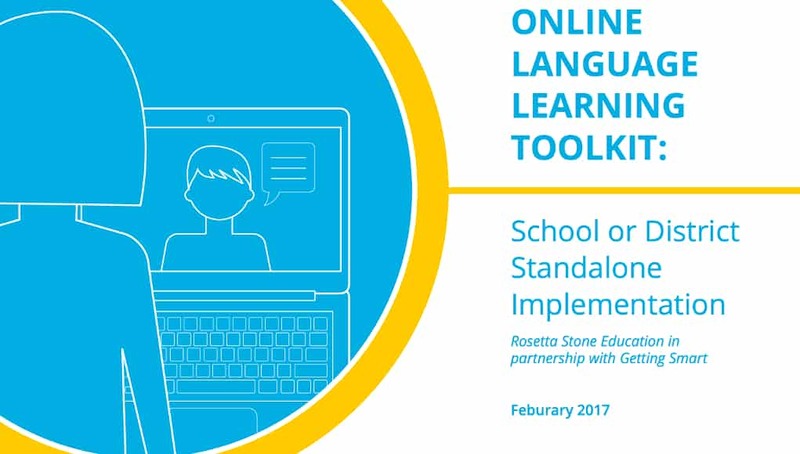 This toolkit is designed for educators and facilitators who are using an online language program as the primary form of language instruction. Creating Conditions for Success. Educators implementing an online learning program should ensure that the school or classroom is ready for the program and that they are setup to be successful. Monitoring Progress. It is important to monitor student progress, even though they will be working online and will receive informal and formal feedback on their work. Benchmarks, resources and information on how to monitor student progress can be found in this toolkit. Implementation and Instructional Tips. Teachers often need ideas for how to get started and what to do when implementing a language learning program, especially one that is online. Included in the toolkit are implementation suggestions and instructional strategies, such as question stems, student meeting templates and more. Communicating with Parents. New programs and initiatives often need parental support. In addition, progress and outcomes are usually better when all parties involved – including parents – understand the goals and plan for a new program. In the toolkit you will find strategies for communicating about online language learning to parents. Activity Guide. Activities to use before, during and after online language learning sessions are provided. Additional activities will reinforce what students are learning in their online program. Visit the Rosetta Stone Get Language Ready site for more on the Language Learning Suite.